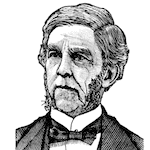 Oliver Wendell Holmes was a physician by profession but achieved fame as a writer; he was one of the best regarded American poets of the 19th century. The author describes the pursuit of the mythical Fountain of Youth. FCIT. "Oliver Wendell Holmes, Sr. author page." Lit2Go ETC. Web. 24 April 2019. <https://etc.usf.edu/lit2go/authors/120/oliver-wendell-holmes-sr/>. FCIT, "Oliver Wendell Holmes, Sr. author page." Accessed April 24, 2019. https://etc.usf.edu/lit2go/authors/120/oliver-wendell-holmes-sr/.